G.S. Pospelov is the founder of the Soviet scientific school of artificial intelligence. Its methods formed one of the principal directions in development of contemporary information science. The one, which emerged with advance of the knowledge-based information systems. These methods are primarily aimed at creation of new information technologies, which should enable common computer users, inexperienced in both hard and software, to solve computation problems on basis of only initial data and detailed descriptions, without doing any additional programming. G.S. Pospelov himself defined the notion “artificial intelligence” as a metaphor meaning broad implementation of computers for solving the problems which are considered, from the human point of view, as the creative ones. Germogen Sergeevich Posplov was born on the 25 th of May 1914 in town Orekhovo-Zuevo of the Moscow area. In 1940 he successfully graduated from the Moscow Power Engineering Institute (MPEI) with diploma of “Engineer–electrician, specialised in Auto-, Tractor- and Aviation electrical equipment”. His diploma work was recommended by the institute scientific council for further development into scientific dissertation. However, beginning war interrupted his plans. The first scientific degree (Candidate of technical sciences) G.S. Pospelov received already in 1949, at the Air-Force Engineering Academy (AFEA) in Moscow . The dissertation was a research on methods of auto-oscillations removal in non-linear systems of aircraft rudders control. His doctoral thesis was a fundamental work on theoretical and practical development of aircraft blind-landing system (invented by him). G.S. Pospelov submitted it in 1956 also at the AFEA. Before the beginning of the 1960-s, his researches were mainly focused on the theory of automatic control, system analysis and implementation of computers in processes of control. He also contributed to development of both linear and impulse systems of automatic control. Together with his collaborator – famous scientist A.A. Krasovskiy he obtained important results which they published in collection of works, “Foundations of automatics and technical cybernetics”, (Moscow, 1962). In 1966 G.S. 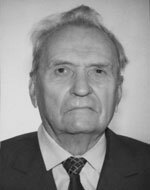 Pospelov was elected to the USSR Academy of Sciences (AS USSR) as corresponding member of the department “Mechanics and processes of control”. In 1972 he and his scientific team were awarded the USSR State Premium for the series of engineering monographs under general title, “Technical cybernetics. Theory of automatic control.” , which were published in 1967-1969. G.S. Pospelov commented usage of computers as following, “In the beginning of their development computers processed numerical data, what remained in their name – computation machines. That was their historically first occupation. The first programming languages were naturally oriented on mathematical models in physics, mechanics, chemistry, economy, etc. In the course of time the picture changed, first slowly, than more and more quickly computers started processing of symbols and symbolic data (sometimes people use for that rather incorrect expression, “Symbolic information”). An ability to process symbols, to convert their arrays and clusters and to perform various operations and procedures over them lies in basis of all forms of communicative relations within the human society. Symbols or signs in visual or sonic form brought in order with syntaxes rules represent sense (semantics) as well as pragmatic essence of human relations and form up both natural and numerous scientific languages”. “Leaving aside mathematical computations one can say that, the moment when computers obtained abilities of data processing in symbolic form became the birthday of artificial intelligence as scientific issue. Its main objective consists in teaching computer how to solve the problems which traditionally were considered as intellectual ones. Problems of the knowledge storing and representing, as well as forming models of outer world - so common and natural for human brain, are nevertheless extremely difficult for their realisation with computer. Until now these are basically data, not knowledge which are processed by computers. Although some essential results have been already obtained in this field, mainly due to development of predicate calculus, semantic networks, frames, etc., solving of the knowledge representation and processing problem with digital means, that is obtaining new knowledge from the previously stored one, is just beginning”. He also defined three principal stages in development of computers and ways of their implementation, which partly overlap in terms of time. The first stage was characterised with necessary loading of computer memory with initial data and programs needed for mathematical calculations or some other kinds of processing. Operating system maintained batch mode of problem solution and/or time sharing mode. The procedural languages were mainly used at that period and the user had to deal with computer indirectly, through mediator - programmer of applied problems”. At the second stage computers were implemented in information systems, which contained centralised or distributed data bases. Alongside with algorithmic languages problem-oriented ones came in use, as well as languages for creation of applied software packages. There also appeared practical possibility of a human-computer dialog, in the user's formalised professional language with extended range of natural language phrases. In other words, those were the first interactive systems. Very important were special dialog systems aimed at solution making and planning. Role of the mediators – applied programmers, remained still essential. The third stage is just beginning. At present, not only data bases but models of problem domains are put in computer memory. This provides possibility of computations planning as well as knowledge and data processing by means of programming modules selection available in common computer. Programming of robots is also possible in this connection. Amounts of knowledge are already represented in computers and the human-computer dialogue in relatively natural language is also a reality. These are also characteristics of the third stage. Decisive influence upon the progress of communication problem in human-machine systems should be made by scientists-experts in the artificial intelligence. Among some very characteristic systems, which contained fully realised basic principles of knowledge representation and processing, there were DILOS, produced by computation centre of the USSR Academy of Sciences under G.S. Pospelov's guidance and system PRIS, created by team of E.H. Tiugu at the Institute of cybernetics of the Estonian Academy of Sciences, in Tallinn. In 1977 G.S. Pospelov, together with D.A. Pospelov, made a report of principal importance at the USSR first conference on artificial intelligence. The conference was held in Repino – a beautiful Baltic shoreline resort near Leningrad , and many foreign guests were present. The report contained evaluation of the situation in the scientific domain of artificial intelligence and the perspective plan of researches was presented. The authors noticed that the classical theory of automatic control was in some crisis state in the 1960-1970-s. The main reason of that lay in the theory which had dealt only with the objects whose structure and way of functioning could be described with formulas, for example with various differential equations. The objectives and criteria of control were also formalised. However, beginning from some period, objects of some other kind attracted attention of the theory of control. Those objects were reality in spite of, then popular, desire not to notice them (as subjects of research). The main problem consisted of absolute hopelessness to describe them (even in the remote future) with any, even ultra complicated, system of equations because of their being active and possessing certain “freedom of choice”. That was why objectives of their existence, as well as criteria of their control, not only couldn't be formalised, but were permanently changing. Big town, big industrial enterprise, some part of national economy and an economic district could be typical examples of such objects of analysis. Availability of practical experience of the people who -better or worse- were managing such objects gave some hope for implementation of computers in solving problems of their control. Therefore new methods and technologies of their management and control could be created in case of successful research. Developing those ideas, authors of the report proposed operating not with numbers and data in the control systems but with knowledge and symbols. In that way they defined directions of the future researches in the field of artificial intelligence. integrated (hybrid) expert systems, which were combination of expert systems with logical-calculating ones. In other words those were compounds of mathematical and logical-linguistic models. In the beginning of the 1970-s, his team worked out basic principles of logical-computation systems. Some such systems they created in practice at the Computing Centre of the AS USSR. They were: GRANITE and DISFORP for problems of planning in national economy and MAVR for design automation (e.g. in heating engineering). MAVR could be divided into three levels: applied one, mathematical and software levels respectively supplemented with knowledge bases. The knowledge bases incorporated two types of semantic networks. The semantic network on applied level was built as non-oriented graph. It was done automatically according to a description of the design object by the end user, and the knowledge bases containing fragments of role computation frames were implemented. Each of those frames contained all variants of designed objects (in our example related to the heating engineering). There were also provided all technical characteristics and special charts for connecting characteristics of “operating bodies” with characteristics of the working (operating) processes. Fragments of the applied knowledge were in direct connection with knowledge fragments on mathematical level. That was the basis for building, with the use of special connection sub-structures, the system's semantic network on mathematical level which was the mathematical model of the applied system. The end user formulating a concrete problem could initiate automatic building of the problem's oriented graph from semantic network of relations. After that a working program of the task stated by the end user (the problem solution) was automatically composed of the corresponding procedures on the software level. Implementation of the MAVR system notably increased efficiency of engineering design. A draft project of a double-contour freezing installation based on an air turbine, which consisted of 12 units, was characteristic example of its usage. All project design and calculations were performed within 8 hours of computer operation time (it was BESM-6) instead of 1600-3800 man/hours of the project team (12 people) traditional work. linguistic processors performing automatic translation of professional dialect (slang) of the user's natural language into computer language, what was supported by necessary semantic analysis, as intellectual interface in human-computer communication systems. Therefore the end user was enabled to control computation process by means of his professional terminology;. system software means enabling computational problems solution, relatively independently from their complexity level, and the working programs for concrete problems were generated automatically with the using vide selection of applied software modules, preliminarily introduced in the system. It was also notable that G.S. Pospelov found practical realisation of the knowledge-based systems both possible and reasonable. For that purpose he accepted existing universal computers (“Ready made” so to say) and didn't spent efforts and time for creating machines specially oriented at such problems, as it was in case with the fifth generation computers project in Japan. It's notable that academician B.N. Naumov shared the same opinion in 1984-1985, when he formed his conception and corresponding program of works on creation of computing systems of new generations (knowledge-based systems) within the international long term cooperation program of the East European academies of sciences. G.S. Pospelov not only formulated the problem of new information technologies creation, with implementation of new methods of artificial intelligence. Those should be problem solution technologies for users – experts in their professional fields, who did not have special knowledge and training in the field of system analysis, programming or computer machinery in general. Characteristic feature of that technology should consist in changing role of system analytics and applied programmers. They transferred focus of their attention from direct usage of computers to implementation of created by them declarative and procedural knowledge as information systems knowledge bases, which supported those informational technologies. Active role of the end users during the problems solution should be supported by intellectual human-computer interface. Detailed description of that problem was published by G.S. Pospelov in 1982, in academic periodicals, “AS USSR herald”. In 1986 he published one more work which presented his views on the proper place of means and methods of the artificial intelligence in development of new information technologies. “Can we understand the notion “artificial intelligence” literally or this is just a metaphorical description of scientific domain, concerned with development of computers? I personally share the latter opinion – it is, and it will be for some observable time, unrealistic to seriously think about any really artificial intellect. However, the science many times demonstrated astonishing success, where it was not expected. In other words – modelling or imitation of thinking is not yet real thinking. Therefore I would propose the following understanding of the notion “artificial intelligence” – it is the ability of computers to receive some of the results generated by human creative activity. At the same time the character of these creative processes is not important here, in fact we ourselves do not know much about them. The final result is an issue of importance”. “In reality the term “artificial intelligence” itself played rather negative role in progress of this science. It is just a metaphoric expression. Nobody, except for some insane ones who are no more numerous among cyberneticists than among other scientists, has ever tried to construct really thinking matter of transistors and resistors. All talks about “electronic mathematicians, as well as poets and composers were just a matter of those ones who had nothing to do with works on the artificial intelligence”. “Direction of work which would be sensible to name “pragmatic” was never concerned with real structure of a human brain or processes within it. Its psychical and physiological activity was outside focus of scientific interests in our case. It is the pragmatic area where most important fundamental results of applied character were obtained. The computer is considered here as a tool, like some piano or violin. It could be of good or bad quality, well or bad tuned, a good or bad music could be written for it and finally you can play it well or bad. However it always remains an instrument, not an item of studying or improvement or -say- comparison with human brain. It was the artificial intelligence theory, understood in pragmatic sense that brought a real revolution in information science – creation of new information technology”. “Speaking in some poetical way, at last we approached our triumph. In reality those were always only shallow-minded, mischievous or –in the best case- ill-informed scientists or scientific administrators who taught of our work as of not better then harmless hobby (read “useless”), although due to their will many researches on artificial intelligence (AI) remained “Cinderella of science” for a long time. Now, even most fierce opponents of our “so-called, purely theoretical explorations” have to admit that the works on AI are very practical and needed in our science for searching a way out of the present complicated “state of computer matters”. Therefore AI received a working order of all our human society. We really must find the way out of “computer cul-de-sac” – the situation when everybody needs computers but only some “selected ones” can efficiently work with them”. “Honest answer for the question about practical availability of AI must be “no” at the moment. What do we really possess now? No more then a very good program modelling a particular fragment of intellectual activity. Two circumstances: rigorous limitation of a concrete program by conditions of a concrete problem and absence of the performed work's semantic in the algorithm stored in computer memory do not let us consider any, even the most perfect, program as a movement towards AI”. “Intellect could be defined as complex of universal procedures which enables forming of concrete algorithms for solution of particular creative problems. It is this very procedural complex that does not physically exist in computer, which is, e.g., playing chess or creating music. The computer is deprived of the fundamental intellectual function which would permit us to speak about “computer thinking” ”. “On my opinion genuine artificial intelligence needs co-responding a serious additional condition. It must not exist in form of a program, that is in purely informational state but it should somehow influence the environment and experience vice-versa its reactions”. “Therefore the problems are numerous. Let's leave aside the creative ones, they are unbelievably complicated – thus, it' unclear how really the sense organs should be made for robots, how the environment should punish, encourage or prize them for their actions, how –and what to- will they adopt themselves (their behaviour), creating their intellect in course of these processes. However there is a question of another kind, how could be a robot informed about the world? How could we pass him all necessary knowledge? In other words, how can be a model of reality created in his memory, above all under the condition that it corresponds with our own ideas about nature of this world? Otherwise we can not say that the robot solves any problems, or performs tasks. He will simply not understand, what we want from him, what means “to solve problem” and after all, what form of answer we expect from him”. “Two principal directions of our work: creation of compact but at the same time comprehensive models of the world and working out ways of planning the robots' reasonable behaviour. The mechanisms of frames, scenarios and logics should maintain them”. “The third basic problem consists in creation of systems, which are able to communicate with humans in natural human languages. After all, the language is the most powerful of known systems to model the reality. Problems of understanding natural language, its translation into internal representative language of a machine (computer) and back, they are in focus of attention of the current researches”. For his numerous merits G.S. Pospelov was decorated with 7 orders and 24 medals. Two orders “Red Banner” (military) and one more, the “Order of Patriotic War”, were given him during the war (World War Two). After the war his scientific, pedagogical and organisational contributions were awarded the “Lenin Order”, “Red Banner of Labour” (civil), order “October Revolution” and order “Patriotic War” – 1 st grade. He died on the 24 th of November 1998 in Moscow and was buried there under the family tomb stone, near his mother, brother and sister. Researches and practical projects on the artificial intelligence problems launched by him are continued by his colleagues and pupils at the computer centre of Russian Academy of Sciences: D.A. Pospelov, V.F. Horoshevskiy, A.N. Averkin, S.K. Dulin, A.I. Erlich, I.G. Pospelov, also colleagues at other research centres joined by, established by G.S. Pospelov, All-Russia Association of Artificial Intelligence: E.V. Popov, A.S. Narinyany, Y.I. Klykov, V.K. Finn, V.N. Vagin, L.S. Bernstein, V.L. Stefanyuk, G.S. Osipov and many others. 2. in collection of works, „Cybernetics. Emerging of information science“. Moscow , Nauka, 1986. 3. K.E. Levitin, D.A. Pospelov (Eds.). “Future of Artificial Intelligence”. Moscow , Nauka, 1991.